HomeNew BikesBike NewsHonda CBR300R Sold Out For Next 3 Months! Honda CBR300R Sold Out For Next 3 Months! The Honda CB300R was launched at Rs 2.41 lakh (ex-showroom) on February 8. The 300cc naked sports bike follows Honda’s Neo Sports Café design language. It gets a TFT instrument console, LED lighting, IMU-based ABS system, and more. It offers the best torque-to-weight ratio (186.39PS-per-ton) in its segment. Would you believe us if we told you that the Honda CBR300R, which was launched just yesterday, has already been sold out for the next three months? Well, it’s true! How’s that even possible, you ask? Even though the bike went on sale on February 8, Honda started accepting bookings for the naked streetfighter 25 days ago. And the company received an overwhelming response from enthusiasts across India who have been eagerly waiting for a middleweight bike from Honda. Moreover, the manufacturer has a production plan set up for the CBR300R, which it does not want to exceed. This means that there will only be a certain number of units that are available for booking at any given point of time. As for the bike itself, it is currently being offered via the CKD. 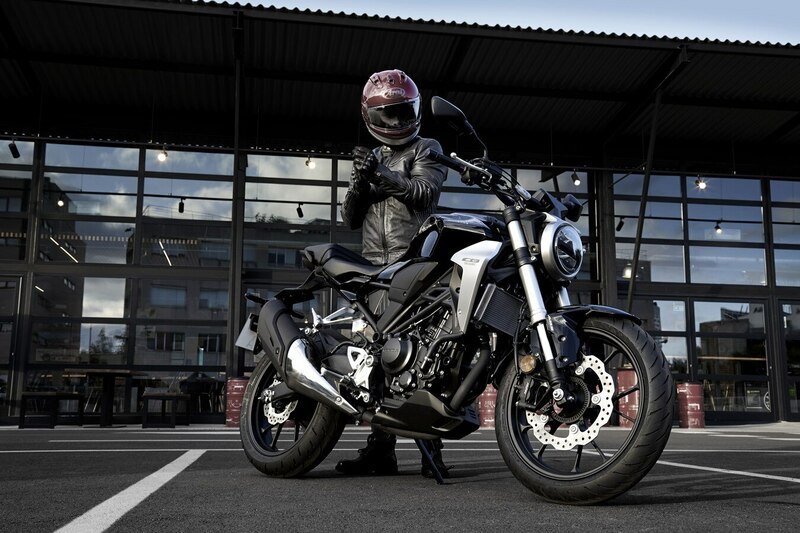 The CB300R follows Honda’s Neo Sports Café design language as other streetfighter motorcycles from the company’s lineup. As a result, it’s one of the best looking Hondas we’ve seen so far in the Indian market. As far as features are concerned, it gets a full TFT screen, LED lighting and an IMU-based ABS module, which is a segment-first feature. At its heart lies a 286cc, liquid-cooled, single-cylinder engine that churns out 30.4PS at 8000rpm and 27.4Nm of torque at 6500rpm. While that seems low compared to its competition, the bike offers a best-in-class torque-to weight-ratio of 186.39PS-per-ton thanks to a kerb weight of just 147kg. The motor comes mated to a 6-speed transmission. Additionally, the Honda CBR300R also gets high-spec underpinnings to keep its weight in check. It employs a sleek tubular frame with 41mm upside down forks, while the rear comprises of a monoshock paired to a cast aluminium swingarm. Braking duties are handled by a 296mm petal disc brake up front and a 220 disc at the rear, coupled with radially-mounted Nissin brake callipers. Dual-channel ABS is offered as standard. The bikes 17-inch alloy wheels that are shod with Michelin Pilot Sport radials rather than Dunlop Sportmax tyres offered in the global bike. The Honda CB300R competes against the KTM 250 Duke, KTM 390 Duke and the BMW G 310 R.
2018 Honda Activa 125 - What’s Changed?